​A must have for any Patriots fan! A beginner to intermediate level project that will yield a highly sought after handmade item. A quick to knit project -- knowing how to add more yarn is enough to get you going changing colors. 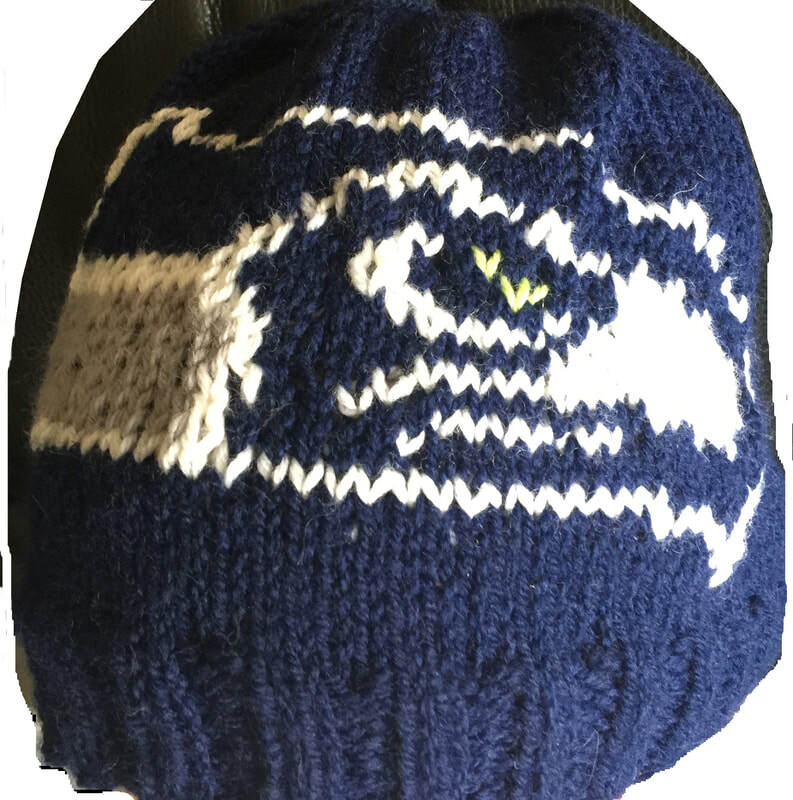 Add a brim to your football cap to keep the sun out of your eyes at the big game! Cowboys fans will appreciate this cap! This pattern includes the detailed color chart and written instructions to complete this football wardrobe necessity! Raider Nation represent! This detailed pattern comes with a full color chart AND written instructions. 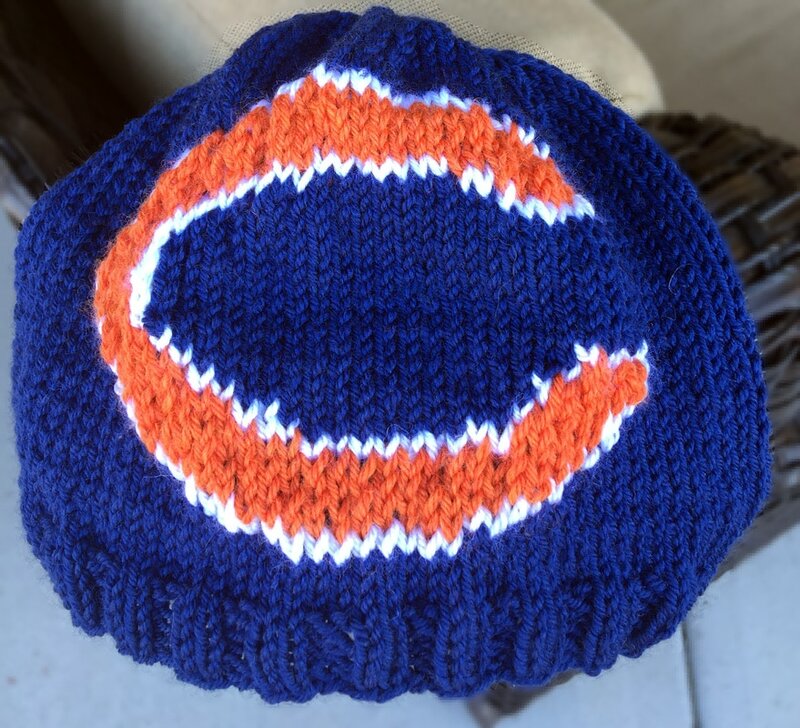 This logo hat will be a one of a kind hit at your next football game! 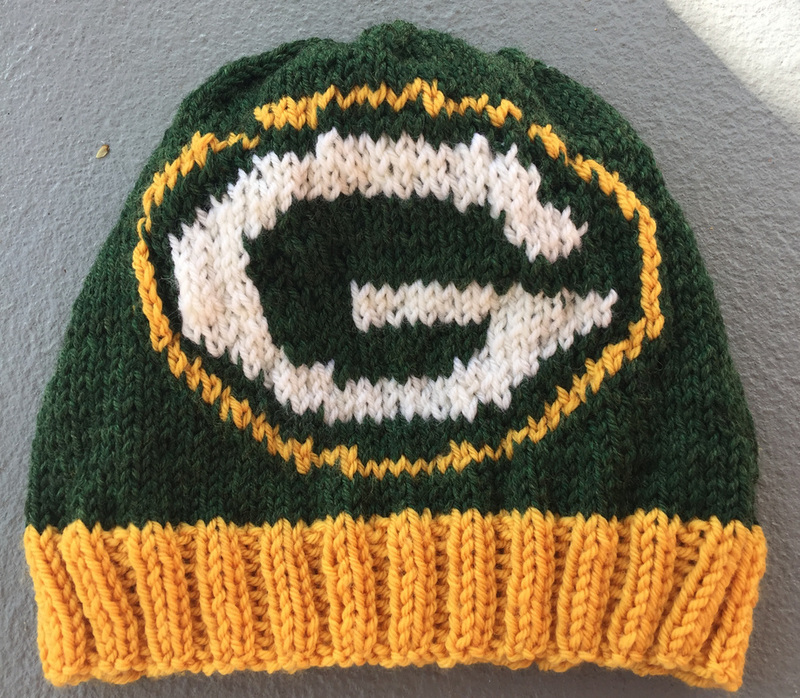 ﻿An easy knit for all Packers fans! This beginner to intermediate level project will produce a highly sought after handmade item. 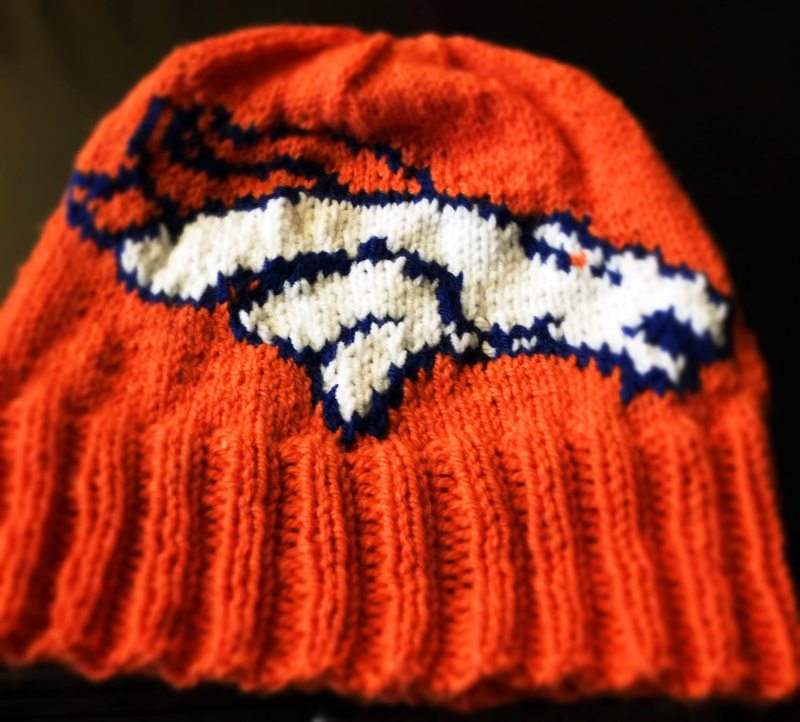 Quickly knit this hat, and add optional lining for extra warmth! Knowing how to add more yarn is enough to get you going changing colors. Comes with a complete color chart! ​Steal this look for your Steelers fan wardrobe! The full color chart for this pattern is an intermediate level project that will produce a highly sought after handmade item. This stranded color pattern is worked back in forth in intarsia type rows. After 108 years the Cubs won the World Series!! And just 1 year after it was predicted in Back to the Future! What an exciting game, going to a 10th inning after a rain delay. 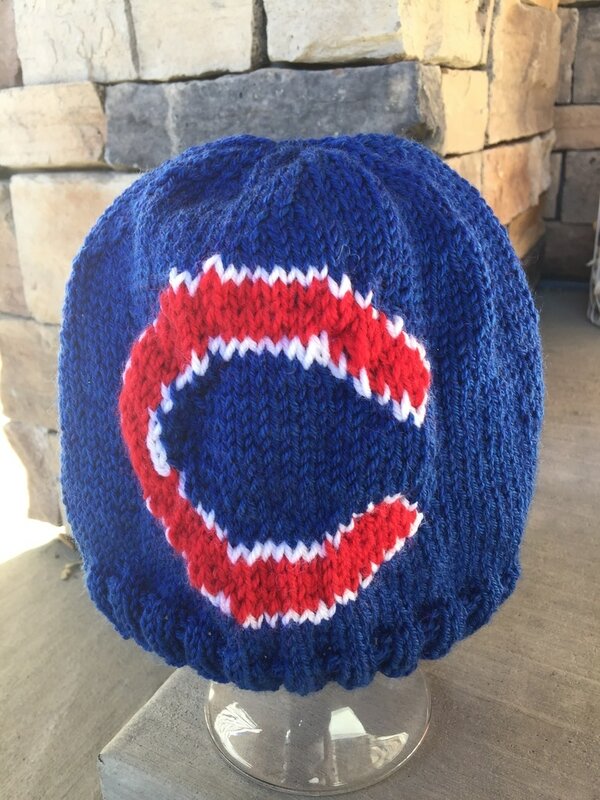 Make yourself or a friend or family member this hat to personalize and remember the excitement for years to come! Comes with a complete color chart! Skol Vikings! 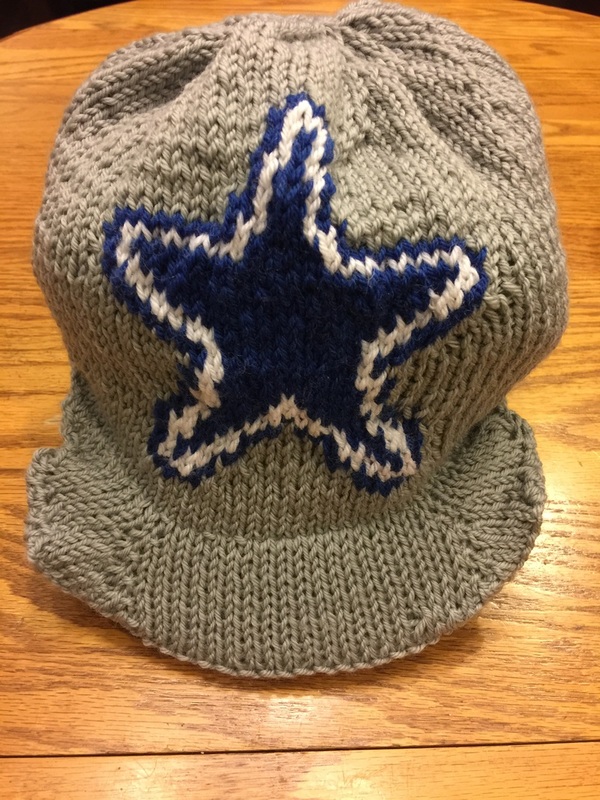 This intermediate level charted hat pattern comes complete with a full color chart and written instructions for super fan knitters or those who want to make them as gifts for a super fan! You can optionally line it with fleece for extra warmth. A highly sought after pattern for anyone who loves Colorado! This is a beginner to intermediate level project. A great project to learn how to change colors and do intarsia knitting. This pattern includes written instructions as well as a full color chart. 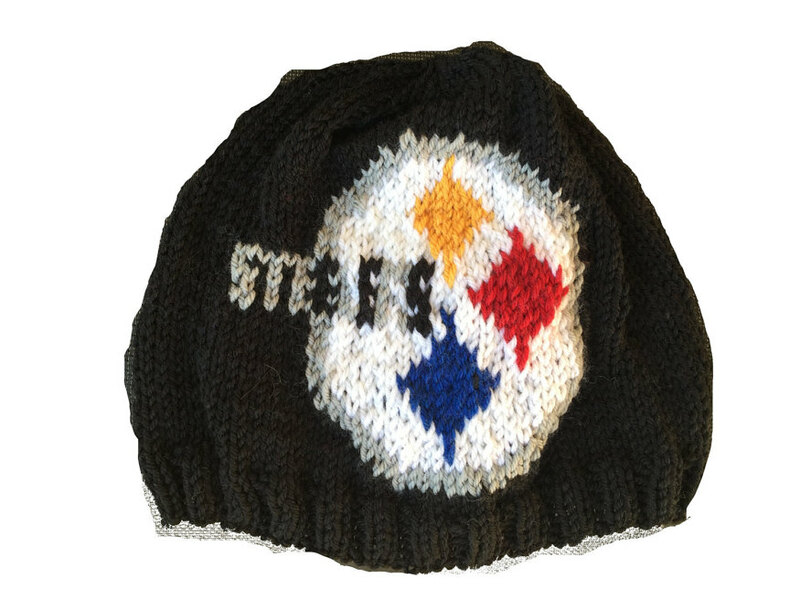 Stand out amongst the noise in this one of a kind, hand knitted creation! A beginner to intermediate knitter can knock out this hit quickly - knowing how to add new yarn is enough to change colors! Full chart and written instructions are the game plan for this hat success! Da Bears! This quick and colorful pattern is a beginner to intermediate level project will produce a highly sought after handmade item. Line the finished product with fleece to make it even warmer! Knowing how to add more yarn is enough to get you going changing colors. Comes with a complete color chart! 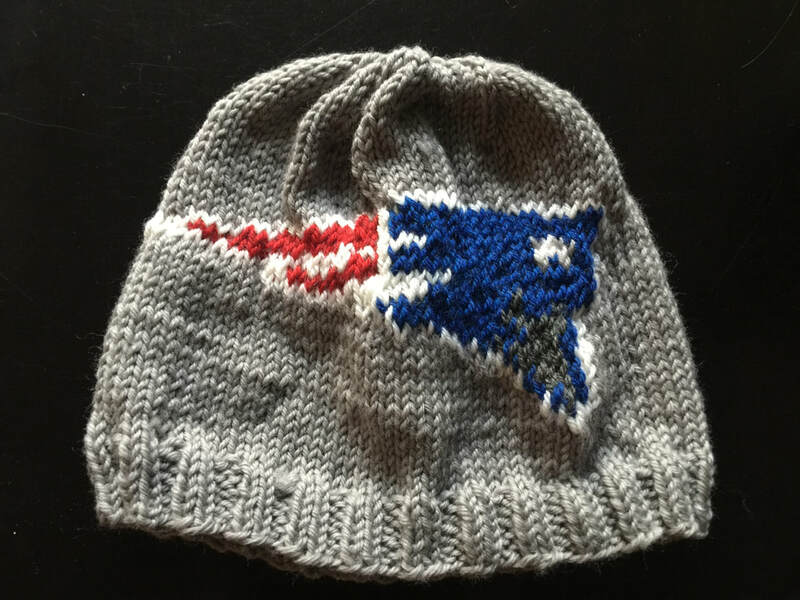 ﻿The perfect small and portable project for football season knitting! These intermediate level armies made to accompany any repertoire of Broncos (or other sports team) fan attire. 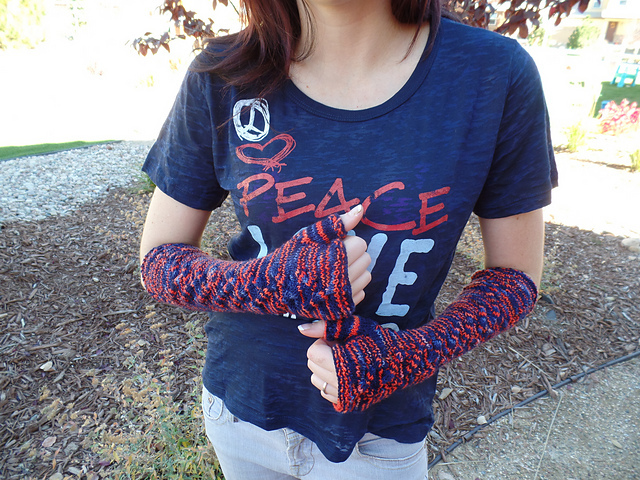 Fun and fast to knit, then great to wear to keep hands warm during cold games.